WEST CHICAGO, Ill.--(BUSINESS WIRE)--IT infrastructure service provider New Continuum Holdings Corporation, which operates New Continuum Data Centers (New Continuum), today announces the acquisition of the company’s flagship mission critical data center located at 603 Discovery Drive in West Chicago, Illinois. 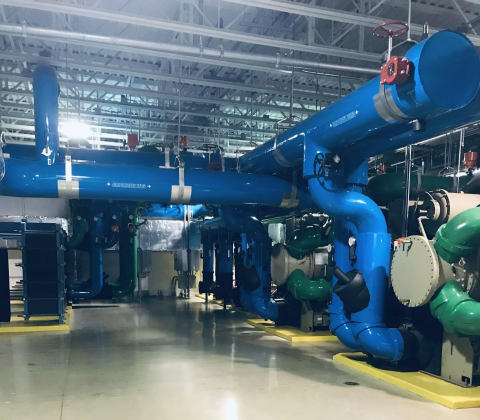 The facility, which was officially acquired in late December, was originally purpose-built as a data center by the previous owner. Post Road Group, a leading real estate bridge lender and investor in U.S. middle-market telecommunications infrastructure, provided the senior debt financing for this transaction. “We are excited about providing New Continuum capital to finance the acquisition of this data center. We look forward to working with the New Continuum team as they continue to execute their business plan,” said Jason Carney, Managing Director, Post Road Group. New Continuum Data Centers (New Continuum or NCDC) is a multi-tenant data center operator in the western Chicago suburbs. NCDC operates an 80,000 square foot, purpose-built, concurrently maintainable facility in West Chicago, IL. NCDC offers highly flexible wholesale and retail colocation services to enterprises and small businesses. New Continuum’s products range from basic colocation to private cages, private suites and secured data halls. Additionally, NCDC offers unique connectivity and peering solutions through its partnership with United IX. New Continuum’s 2N power design can accommodate some of the highest density cabinet footprints, and with its efficient technologies and robust cooling infrastructure it can deliver leading edge PUEs. To learn more, please visit www.newcontinuum.net, or call 877-432-2656.